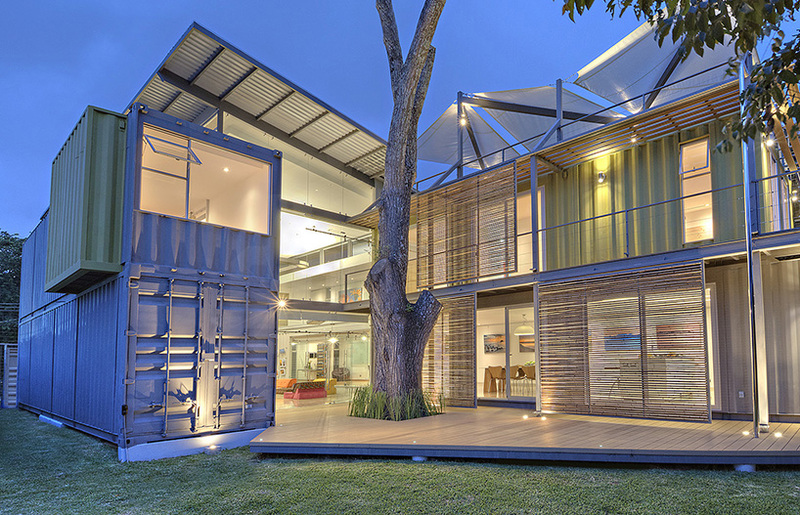 shipping container architecture surveys the contemporary condition of the recent typology, showcasing a range of innovative projects and concepts. 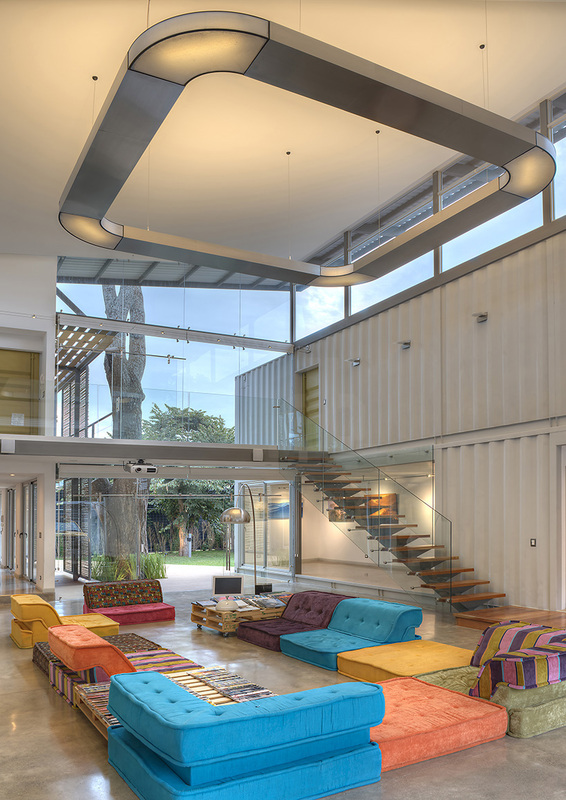 in costa rica, eight shipping containers compose ‘casa incubo’ designed by architect maria josé trejos. 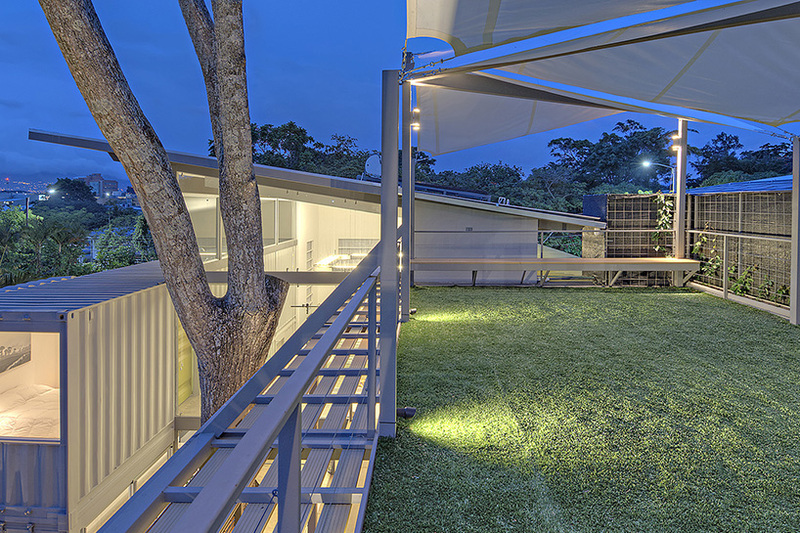 the residence is not only surrounded by the nature of the country, but also surrounds it as the structure encloses a large cedar tree. 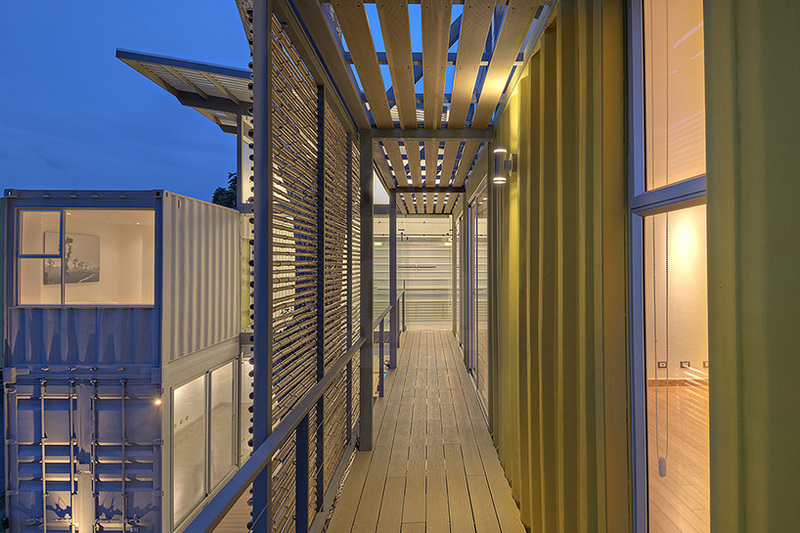 this feature represents the encompassing idea of the project as an icon of sustainability. 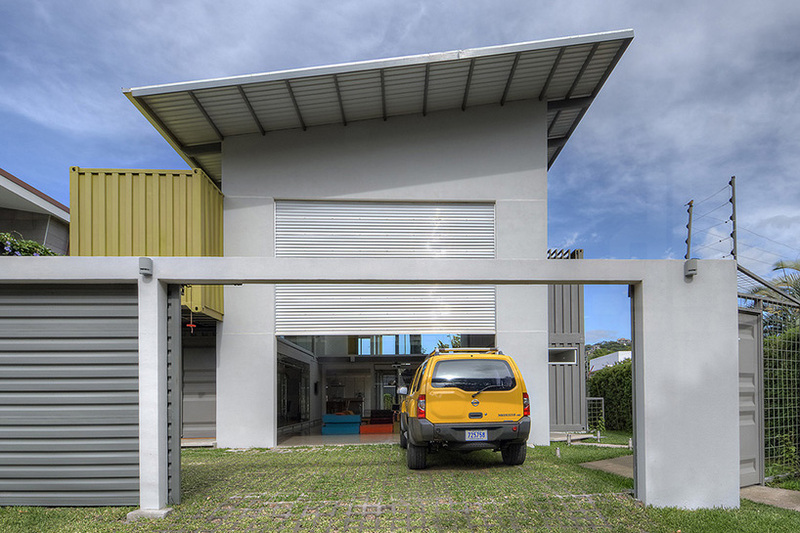 by reusing transport objects, costs were minimized and the completion time was shortened by 20%. 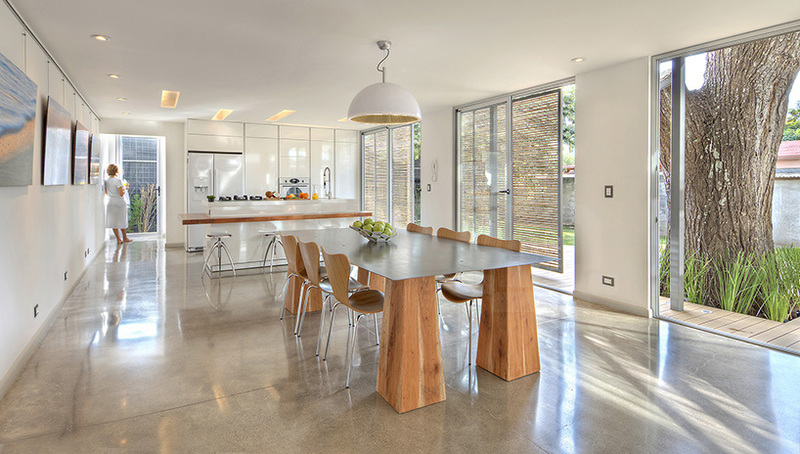 the impact on the environment and generation of CO2 were also reduced, as the details of the house make the most of the climatic elements. the central module, with its double height space, acts as a lung with crossed ventilation and the west façade is glazed to let in natural light so that during the daytime it is unnecessary to use electric fixtures. 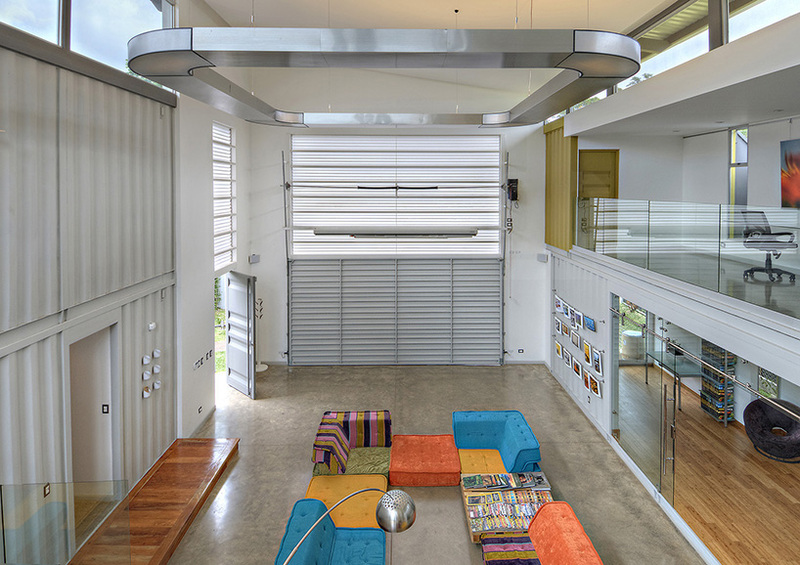 the first floor acts as an area for social activities, with a volume to the right of the main living room that provides a photo gallery. 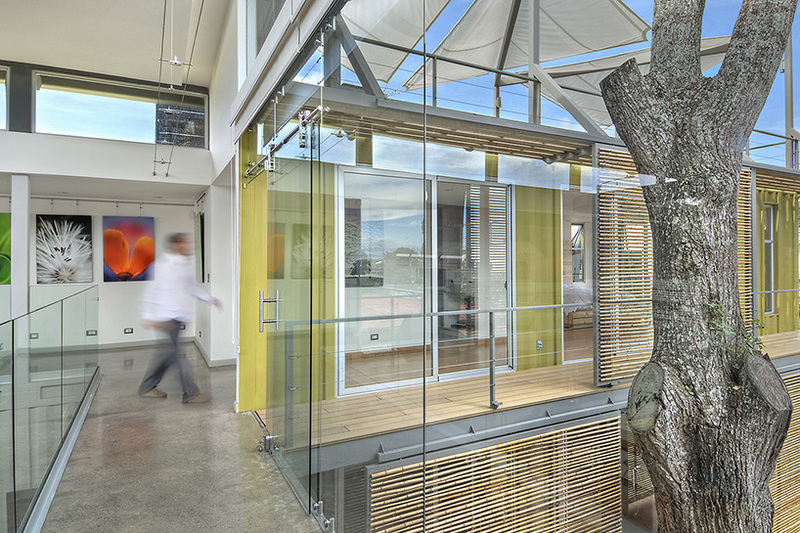 to the left, several other pieces present an office, dining room, and kitchen that open towards a patio that presided by a cedar tree. 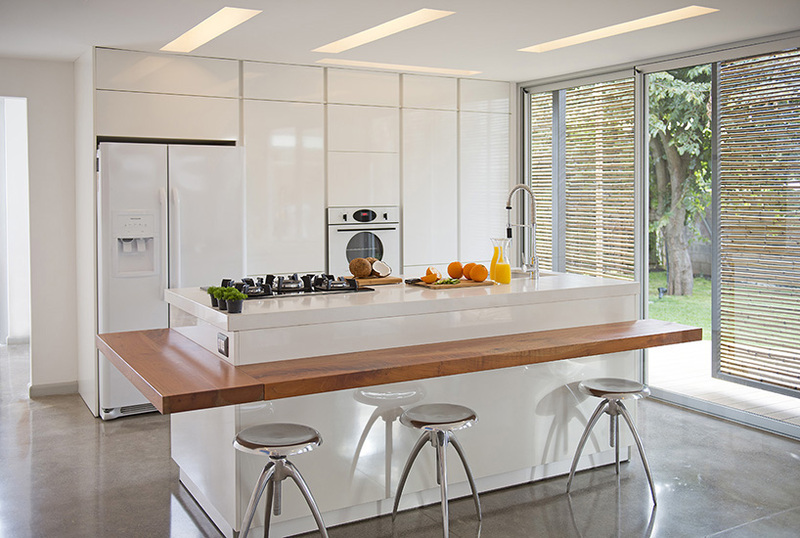 so as to not break the continuity of the kitchen, it was fitted with the line-L in white from the spanish kitchen manufacturer santos, a quartz tabletop, and a breakfast bar made with wood. 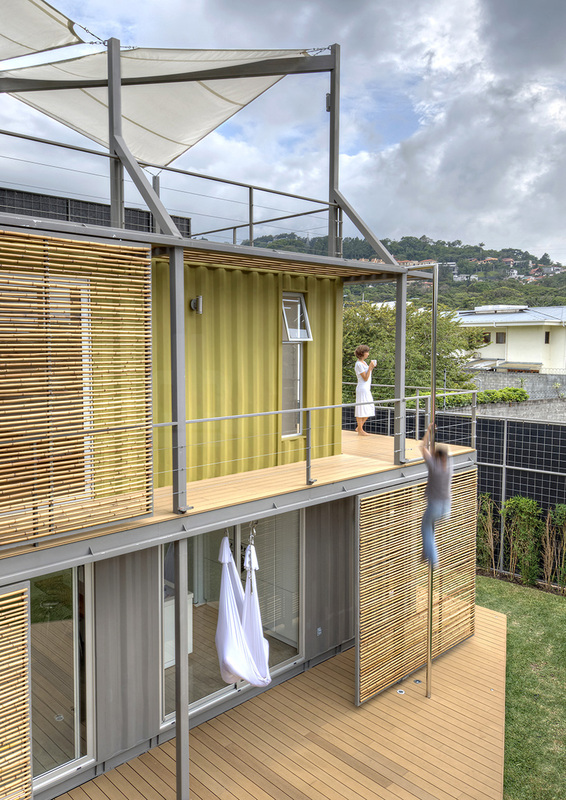 on the second floor, one of the containers has been strategically placed to create a terrace on top and a porch below. 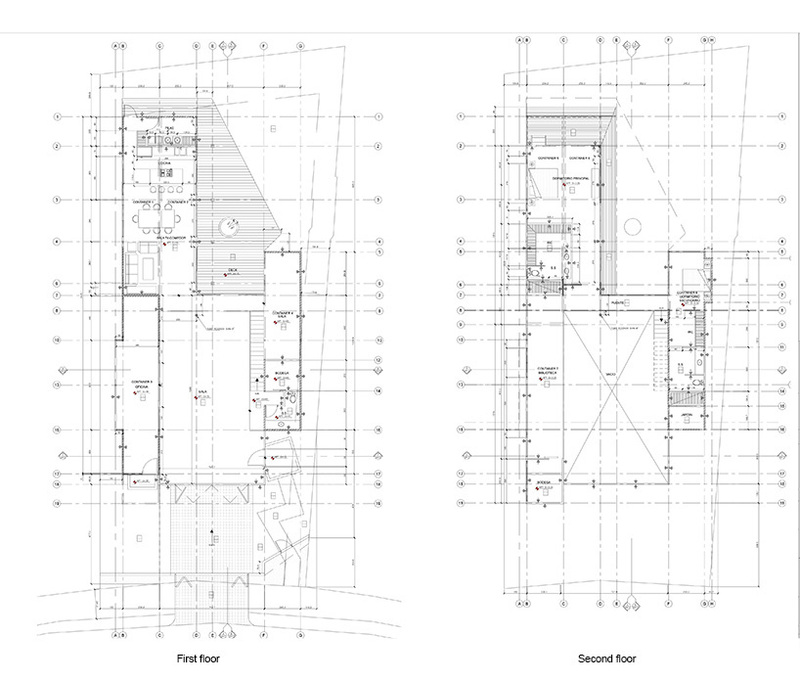 inside are the private spaces of the bedrooms and a studio. from here, an outdoor pathway that leads to the stairs and the rooftop garden on the third floor that can be used as a sun deck for relaxation. Best use of containers I’ve seen so far. Looks very attractive, practical, less wood usage. 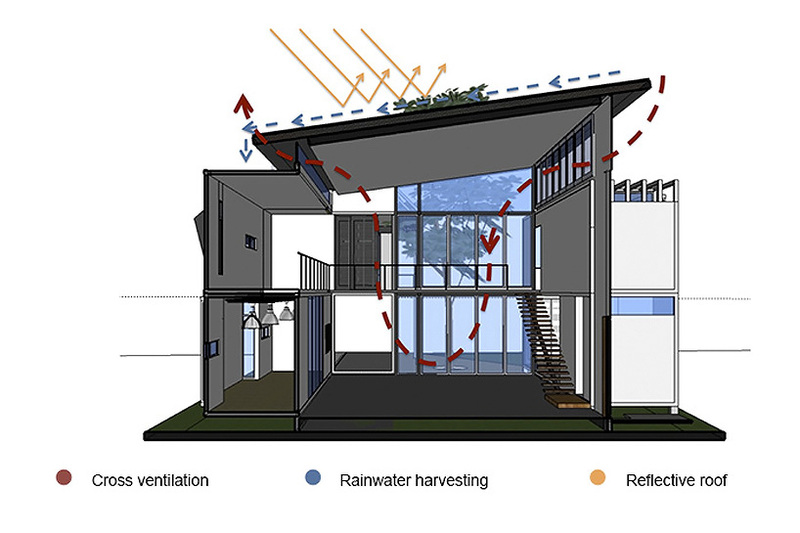 Cross ventilation, rainwater harvesting. I just wonder in rain, does it make that loud sound of rain drops. great elegance! A beautiful aesthetic is achieved with very simple means. well done! This is a really great design, great work. 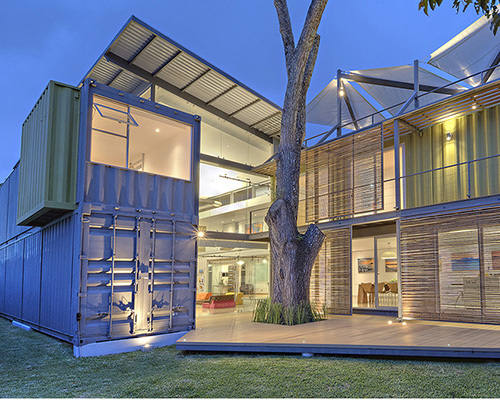 The use of shipping containers requires a stronger ‘brand’ in the public domain and designs such as this work towards doing just that. It would be very interested to know what the estimated construction cost of this design is. can i get the floor planing in larger scale?